Looking for ideas on which flowers to use on your floating island? We recommend using multiple species of native plants to flower in different times as well as attract diverse insects and birds. 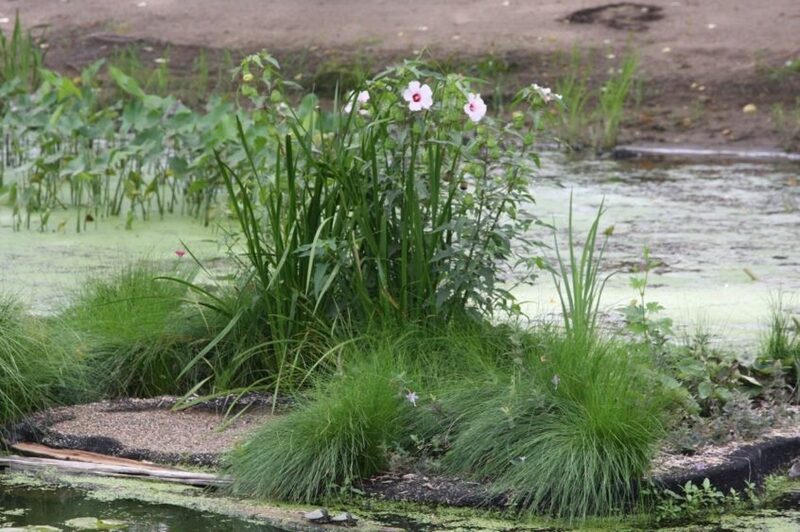 Here are some flowers that are native to Minnesota and have been planted successfully on floating wetland islands. Scientific names have been added to help you locate the plants at a nursery. Iris are one of the first flowers to bloom in the spring. While the blue and purple flowers fade rather quickly, this plant excels at creating a nice backdrop for shorter summer blooms. 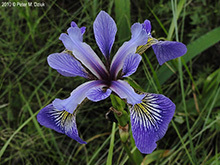 Wild Iris love to be wet so they are perfect for planting on a floating island where they get constant access to water. 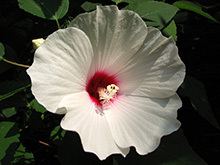 This northern native hibiscus is also known as Rose Mallow. It is a woody bush that can grow up to 5 feet and grows back every year at the same location. It blooms from July thru September. With its sturdy wood stems, it makes a nice center anchor and offers winter habitat if left untrimmed. These short mounding marigolds thrive in moist areas. It blooms early in May and on occasion will have a few flowers again late in the season. The leaves are a dark green and dead ones should be trimmed throughout the summer to keep it looking neat. 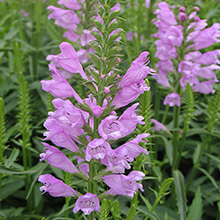 Obedient plants are common long shorelines and in wetlands. They are an interesting plant. The name comes from the fact that if you push the individual flower in some direction it will stay in that position. Some of the older varieties of Obedient plants can spread quickly and take over part of the island so you many want to find newer varieties. This perennial yellow and green plant looks like a larger version of the iris but does not have a typical flower; it has a spathe which is shown in the inset picture. 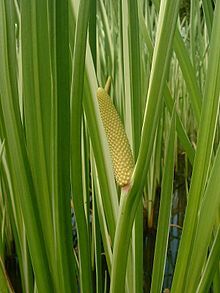 Sweet flag was a favorite medicinal resource for Native American Tribes. The Native Americans also used it for ceremonies and trade as well. It gives off a sweet fragrance when the leaves are broken. 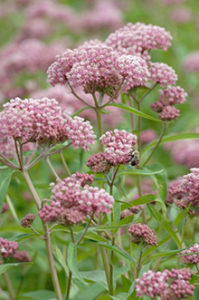 This straight, tall flower is a favorite of butterflies. It varies in height from 3 to 5 feet and blooms from mid to late summer. 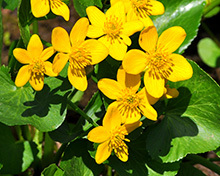 It is a common plant along undisturbed marshy areas. Can I do one with mushrooms? Mushrooms are not recommended for a floating island.